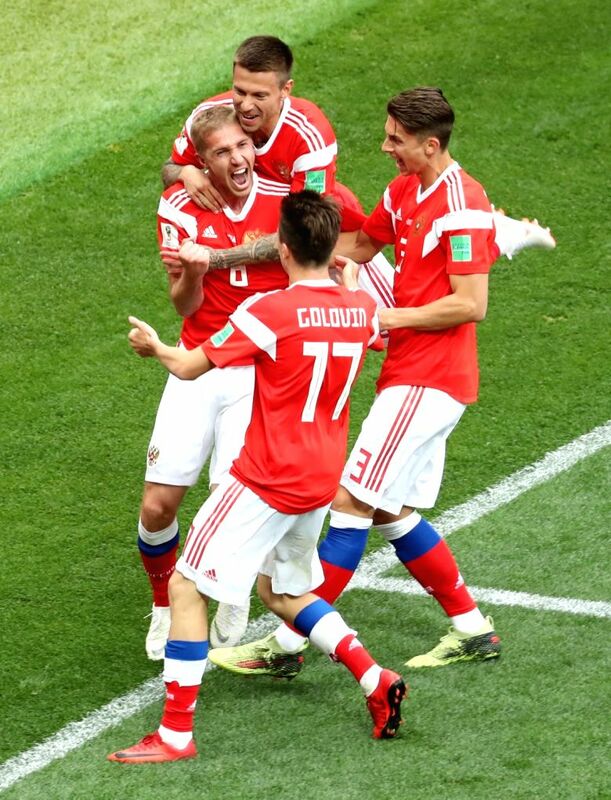 Moscow: Russian players rejoice after scoring the first goal during the opener of the World Cup against Saudi Arabia at Luzhniki Stadium in Moscow on June 14, 2018. Russia routed Saudi Arabia 5-0. 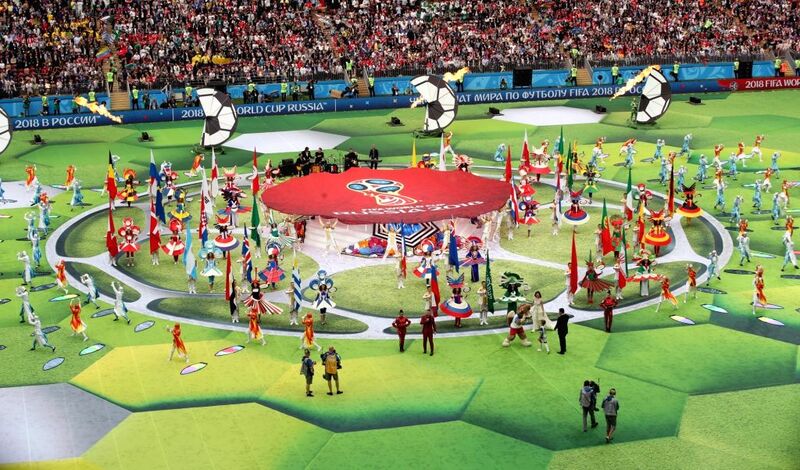 A performance is under way at Luzhniki Stadium in Moscow on June 14, 2018, during the opening ceremony of the World Cup in Russia.